Production is conveniently done at our nut-free plant in Gridley, CA. Our central California location helps reduce shipping costs for raw materials and finished goods. 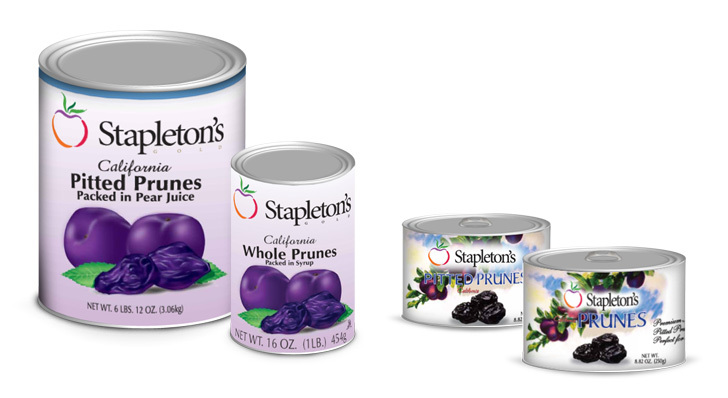 Why choose Stapleton’s for your Contract Canning Needs? Our passion and dedication to excellence is something we are proud of, and something you can count on. Read below and check out the Stapleton’s Differencefor details on why more people choose Stapleton’s as their California Co-Packer. Experience: Our dedicated food scientists and contract packing team specialize in co-packing, private labeling, logistics and food product development. Full Line of Services: Private labeling, sourcing, product development and co-packing services that include bottling, canning, form/fill/seal & pouch bagging, and aseptic. Location, Location, Location: Convenient West Coast operation close to major distribution centers as well as the port of Oakland for exports. Choose Stapleton’s to save on shipping costs for raw materials and finished goods. Production is done in our clean, modern food processing plant. Cost Effective, Tailored Solutions: Our hands-on-approach allows us to better understand the challenges you face and in turn, provide customized solutions to fit your needs. Quality & Certifications: We source only quality ingredients and strictly adhere to our certified manufacturing and quality assurance processes. Our certifications include BRC, FDA, Organic, USDA “Excellent” Rating, “Superior” Sustainable agriculture rating, FDA, Kosher and more. Thank you for considering Stapleton-Spence for your beverage and food canning needs. Contact us today to discuss your contract packing project and to request a free quote.